Mumbai: Men Against Violence and Abuse (MAVA), based in Mumbai and working for past 26 years to stop gender-based violence on women by engaging Men and Boys, in collaboration with Consulate of Sweden in Mumbai hosted the closing ceremony of Samabhav, (meaning Equanimity) a unique travelling film festival which toured the whole of the country. The theme of the festival was gender, masculinity and diversity. The first of its kind in India, film festival began in November 2018 at Hyderabad, and traversed to Goa, Delhi, Haryana, Lucknow, Shillong, Jaipur, Bhandara & Aurangabad (Maharashtra), Vadodara, Satara and Nashik districts and it culminated in Mumbai on 10th April 2019 at Hotel Citypoint in Dadar (East).The fest was held in 13 locations from November 2018 to March 2019, featured around 15 national and international short films, documentaries and feature films on gender. Samabhav revolved around the idea of ending the urge to change people- be it men or women, understanding gender and accepting everyone as they are without practicing any sort of discrimination. 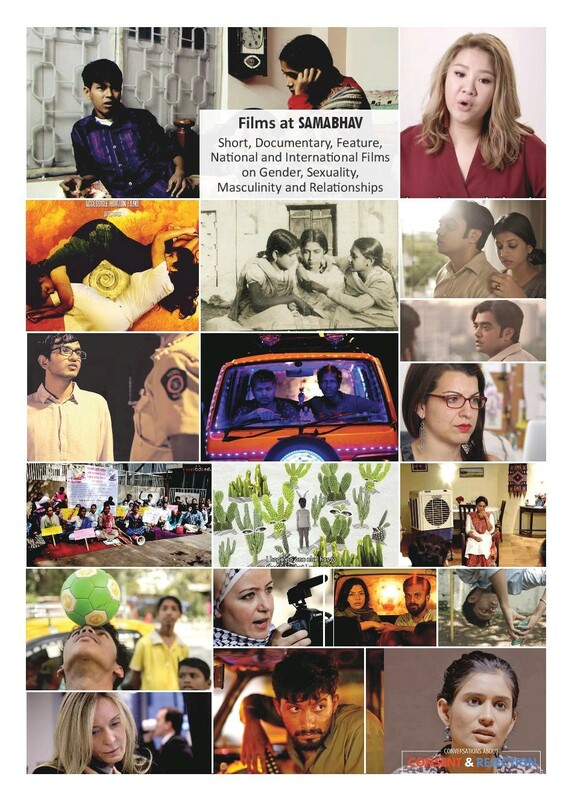 Films like, ‘Boys who like Girls’, ‘Any other day’, ‘Eli Eli Lama’, ‘Kharaki Kota’, ‘Juice’, ‘I am Bonnie’, ‘S Durga’ etc. were screened. The travelling film festival aimed to empower youths through healthy conversations with experts on contemporary gender issues and advocate for a healthy, pluralistic, gender-just society. The overall goal is to increase youth awareness of gender-based discrimination and violence through film screenings and facilitated discussions. The participants represented Universities / Colleges that run under-graduate and professional courses in Arts / Commerce / Science / Management / Technology streams, members of civil society including those working on human rights and gender were invited.